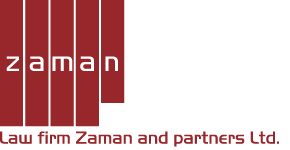 Law office Zaman and partners Ltd. In short time we have combined youth, ambition and dynamism, a combination that has led to a solid foundation, which distinguishes our law office today. We constantly strive towards the development and furthering of our knowledge in the field of commercial law and strive to follow all the development trends in the fields we cover. Thus, with a highly qualified team we successfully eliminate obstacles our clients face and with them build a stable future. Learn more about our experts and their approach. Learn more about our core practice areas. Together for an enduring, unwavering, stable and solid future. © 2016 Law office Zaman and partners Ltd. All rights reserved.